DefenseShield is the powerful blend of lemon, frankincense, eucalyptus, rosemary, clove and cinnamon bark and is hands down the simplest and easiest way to refresh and uplift your health and wellness journey. Snacking is always an exciting part of the day, even more so on a Cleanse Day! Isagenix® has your back with a range of snacks that help you power through your spring cleanse. 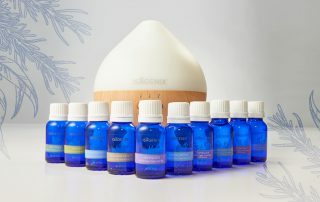 Want to learn more about the new Essence by Isagenix Essential Oils? Here are some of the most commonly asked questions and answers. Looking for a way to take your training and performance to the next level? You’re in luck! Get more out of your workouts with our new and improved pre-workout supplement AMPED™ Nitro! Essential oils are here! Essence by Isagenix Essential Oil combines the very best of nature and science with a lineup of oils, blends, kits, and accessories to support your healthy lifestyle.